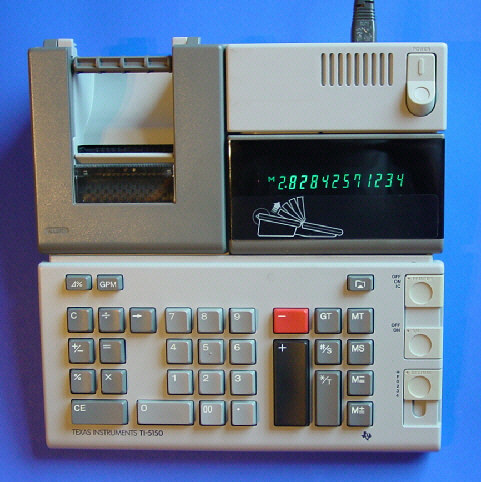 The TI-5150 is one of the modern looking desktop calculators introduced in 1988, it followed the design language of the TI-5130 II introduced already in 1986. The 12-digit Fluorescent display is adjustable to an optimal viewing angle. In Europe this TI-5150 was introduced together with the TI-5135, in USA with the TI-8230. Don't miss the larger TI-5160 II sporting a two-colot impact printer mechanism. © Joerg Woerner, July 6, 2002. No reprints without written permission.